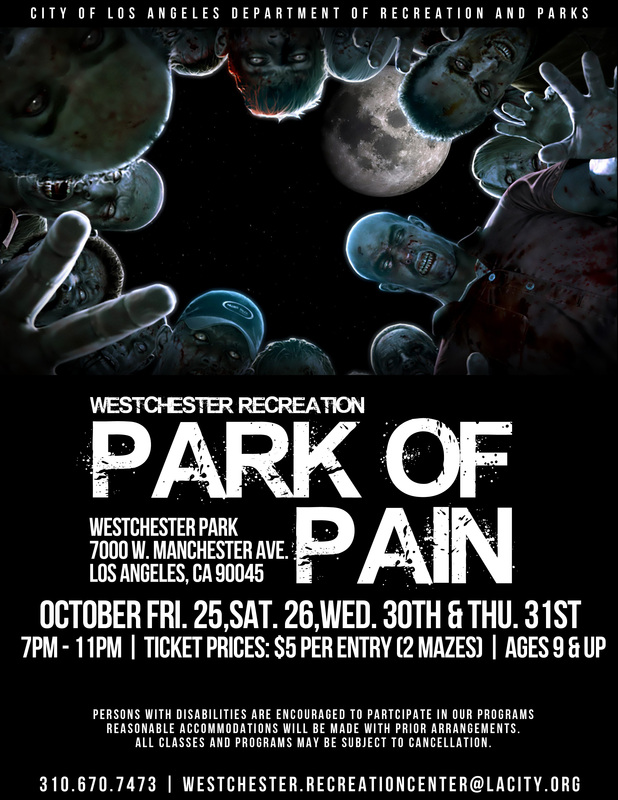 Description: For over two decades, the Westchester Recreation Park has offered this annual Halloween event - which probably is a record for longevity among community center haunts. There are two mazes for kids eight and over, and a Halloween Kids Zone for the younger ones. 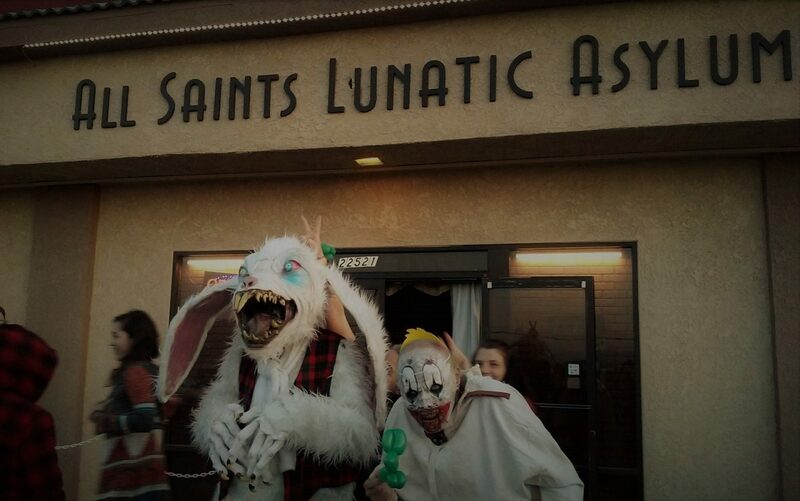 The Haunted House runs on October 25, 26, 30, and 31. Hours are 7-11pm. Tickets are $5 per entry (includes both mazes). 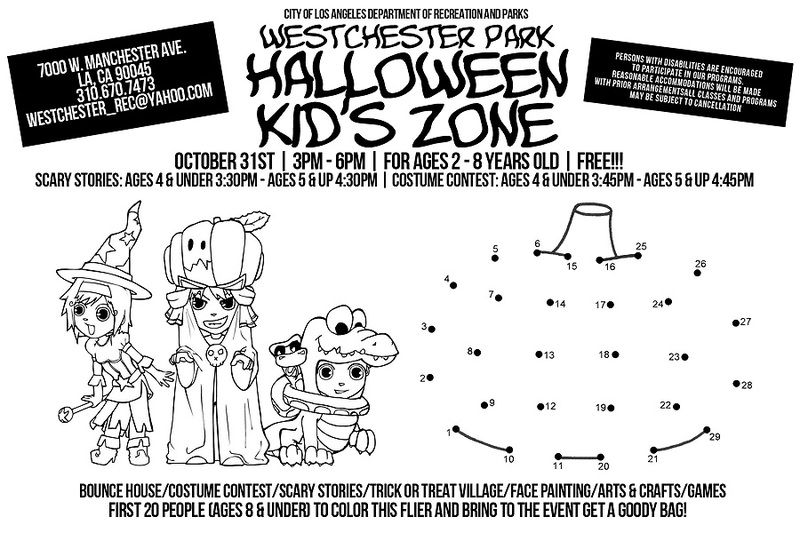 The Halloween Kids Zone runs on October 31, 4-8pm. There will be games, candy, a costumes contest, a bounce house, scary stories, face painting, and arts and crafts.